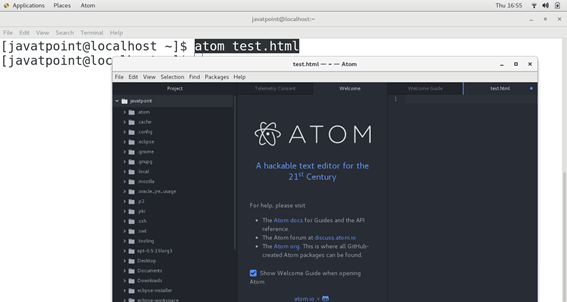 Atom is a free and open source text and source code editor for MacOS, Linux and Microsoft Windows. It is based upon electron which is a framework responsible for enabling cross platform applications using Chromium and Node.js. Its first version was released on January, 25th 2015. It can also be used as integrated development environment. In this tutorial, we will learn the installation process of Atom on CentOS. 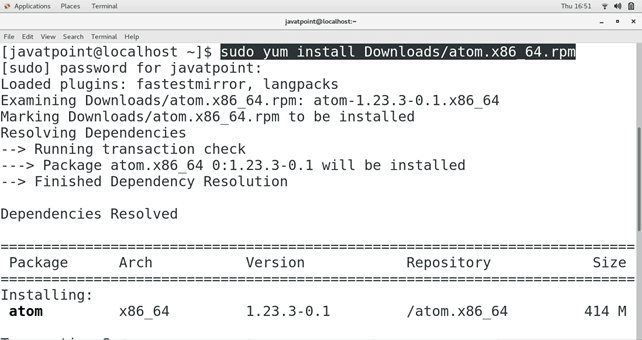 Use the following command to install Atom on CentOS. Type atom test.html to create an HTML file. The command opens the file for editing. Hence, we have successfully installed and get started with Atom on our CentOS7.